Wedding preparation is stressful, I think we can all agree with that. For a Jackson, Miss., couple just days before their special day, planning went from stressful to racially painful in moments when the church pastor told them, that some members of their First Baptist Church (in Crystal Springs) objected to them getting married in their predominantly white church. Most churches require that to be married in their church, you must be parishioners. While Charles Wilson was a recent member, his (now) wife has attended for over a year, her father also attended and her uncle was a custodian there. Seems like you may be good enough to clean up the church, but your family can’t be married there. Always a perfect tropical location, the Big Island (or any of the Hawaiian islands) is among dream destinations for couples. With so many hotel properties, how do you choose? I have a few hotels slated for this year in Hawaii, but I happen to think the Hilton Waikoloa property offers romance and an authentic Hawaiian experience in an unforgettable oceanfront setting. Can you tell me about your space, locations and opportunities for weddings? Hilton Waikoloa Village is the premier wedding spot in Waikoloa Beach Resort on Hawaii’s Big Island. From the most picturesque sunset kisses set amid stunning oceanfront backdrops to perfectly prepared receptions with traditional Hawaiian entertainment and island-inspired, personalized dishes made completely from locally harvested ingredients, Hilton Waikoloa Villages and its Wedding Atelier Romance Specialists offers unlimited ways to make a couple’s special day the most memorable experience of their life. The romance of old Hawaii lingers in the air as couples wed at Hale Aloha, the delicate wedding chapel structure with breathtaking ocean views through windows and doors that draw in the surrounding beauty and warm tropical breezes. Colorful tropical foliage and playful shadows welcome in the aura of romance and love. Fine Hawaiian workmanship can be seen through elegant stained glass, along with Kona wood furnishing and exquisite custom tiling. Since the Kohala Coast receives on average nine inches of rain per year, outdoor weddings are a Hilton Waikoloa Village specialty. Venues include the Palace Garden which overlooks Waiulua Bay, making it a perfect location for a sunset wedding with the sun slowly disappearing into the sparkling waves or the Grand Staircase, a great covered yet open-air space overlooking the ocean-fed lagoon and waterfall. Are there extremely busy times of year you’re seeing brides? 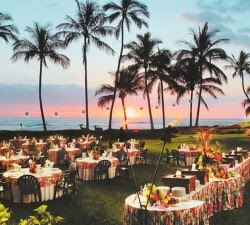 Although Hilton Waikoloa Village welcomes weddings year round, the most popular times tend to be between June and August. What are the best/signature experiences can a wedding party expect – or most importantly, if a couple is looking for a venue, why would they choose your space vs. another venue? Spectacular wedding venues are accompanied by exclusive, affordable wedding packages to meet every couples needs. A complete wedding experience is at hand with multiple packages to choose from that include everything from choice of resort ground locations for ceremony, a non-denominational minister, two-tier wedding cake, floral leis, bouquet arrangement, guitarist, photographer and videographer, private fire dancer or hula troop presentation, “just married” boat ride, and many other options. The on-site Wedding Atelier coordinates all facets of this once-in-a-lifetime event through all vendors conveniently located at the resort. Tell me about the catering, bridal suite, adventures and anything else you want to share with a bride. 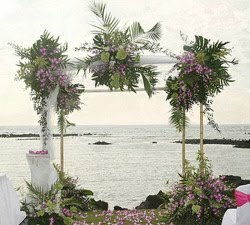 As Hilton Waikoloa Village is located on the Big Island of Hawaii, wedding party’s have the added bonus of exploring one of the most exotic and romantic destinations in the world. Whether it is a romantic getaway or an adventure of a lifetime, the Big Island delivers unforgettable experiences. A few of the most popular and exhilarating activities of The Big Island include jumping off an old wooden bridge set on breathtaking cliffs of the Pacific Ocean, at Ka Lae – the southernmost point in the United States; hiking through lava fields on the rim and in the crater of Kilauea, the world’s most active volcano that has been continually erupting since 1983; and discovering some of the world’s rarest life forms as 11 of the world’s 13 climate zones are found on the Big Island, and the land is host to 1,660 species of flowering plants and 45 species of birds found nowhere else on Earth. To book a wedding or honeymoon at Hilton Waikoloa Village or for more information visit www.hiltonwaikoloavillage.com or call 1-800-HILTONS. Just something to think about, hotels like the Hilton are great because they offer “rewards/miles” as do their airline partners. Keep the little things like this in mind when you’re looking at the major hotel properties. Those points can give you a free meal, spa treatment or bottle of champagne. Doesn’t it seem like every time you open your email, you’re seeing another new “e-commerce” site. The thing is, they all claim to do it all, be it all, have it all for everyone…’including the bride’. I don’t know about you, but there are so few that completely focus on the happy couple, especially those on a budget. Well, finally we have Wedcoupon.com that targets engaged couples seeking budget friendly yet fashionable products, local wedding services, and honeymoon inspirations at up to 80% off retail. Like other member’s only sites, on Wedcoupon.com you can register to receive daily emails about upcoming sales events that may just save a small fortune on one of the most expensive occasions in a couples life. As a registered member, you can also search for time-dated sales events in your city via the ‘calendar function’ to discover which vendors discount coincides with your wedding date. What I do like is they have set up a series of ‘standards’ that vendors have to meet before they will be featured. More, they are dedicated to help couples (and you as the one buying things as gifts for them) create the future home of their dreams. In full disclosure that I do know one of the owners of this site. But you know me well enough that I wouldn’t post anything here that I didn’t think would be a benefit. I was not paid for this post but I do believe in this company. Destination 101: Hilton Sandestin Beach Golf Resort & Spa Fla.
Last week there was a big buzz about the bullying attack on grandmother and bus monitor Karen Klein. I mean this poor woman was just trying to keep these kids safe, and they thought it funny to be mean to her. Because of her kindness and forgiveness (better woman than I) the Hilton Sandestin Beach Golf Resort & Spa has offered Klein a luxurious, week-long vacation to recuperate from her harrowing experience. Sometimes when you’re planning your wedding, you may feel the same way. Trying to pick a dress, a fiancée who doesn’t seem to be interested, bridesmaids not wanting to wear what you’ve picked out and let’s not begin with the mother-in-law issues. Well, planning your wedding or honeymoon shouldn’t have you stressed out and feeling like you’re being bullied too. 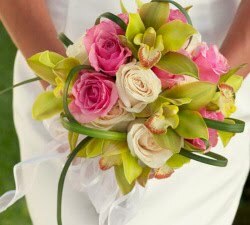 Let The Hilton Sandestin help you plan your wedding. They have ceremonies on white sandy beaches near the emerald-green waters creating an elegant, black-tie affair. The all-inclusive resort has six restaurants, luxury spa, fitness center, four golf courses, 16 tennis courts and you know what, something for everyone. So take the stress out of your planning and let the Hilton Sandestin Beach Golf Resort & Spa help make your day.